The PSSC had its March 2013 meeting on March 23, 2013, at two San Diego gardens in Encinitas, in "North County" not far from the Orange County border. Encinitas is about 25 miles north of San Diego, right off Freeway 5 at Encinitas Blvd. These two gardens are about ten minutes apart. Both are interesting gardens with lots of palm trees. Many unusual and rare species will be seen. There will be an auction and raffle at the second garden. This will be a POTLUCK meeting, so bring a dish to share with others at the Riedler garden. There will be chairs for the general meeting. Water and soft drinks will be offered at a nominal charge. Members are encouraged to bring plants for the auction and raffle. 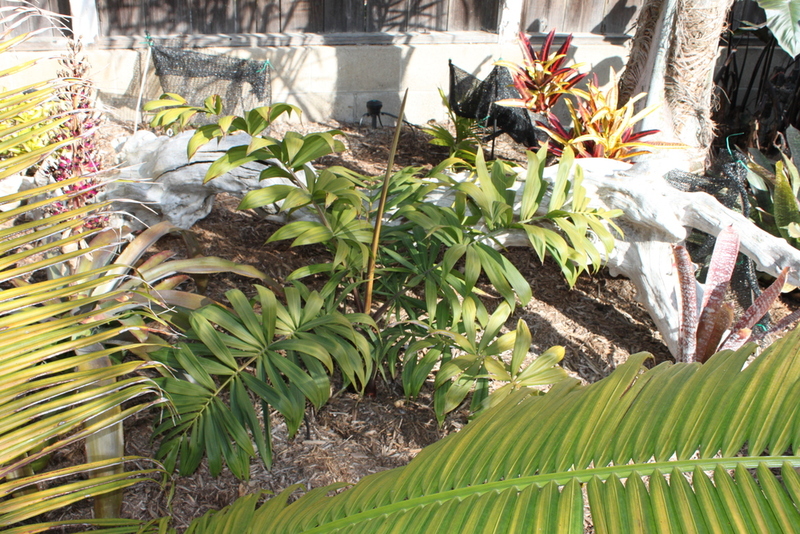 GARDEN NUMBER ONE at the home of Aaron and Sonya Bagley, 1010 San Andrade Dr., Encinitas, CA 92024. 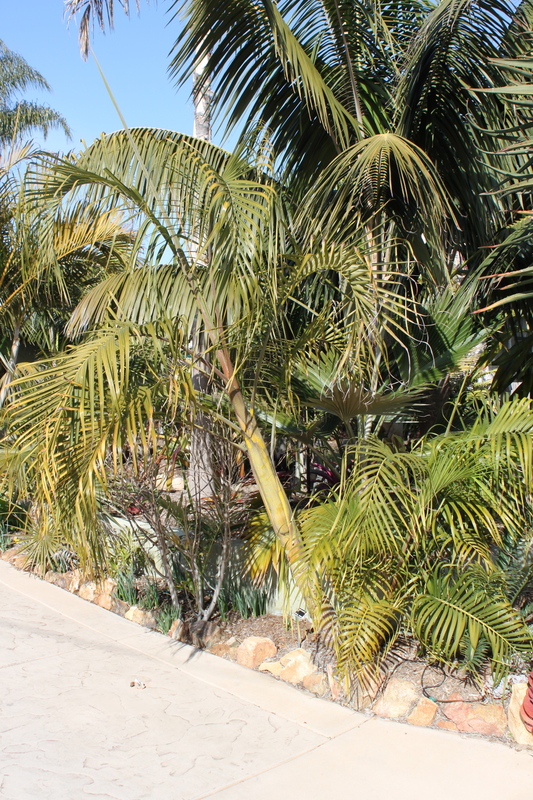 Their garden was started in 2008 and has over 100 different species of palms including Dypsis Marojejeyi, Dypsis heteromorpha, Dypsis ambositrae, Dypsis robusta crossed with an unknown palm, Basselinia pancheri and many other New Caledonia palms. 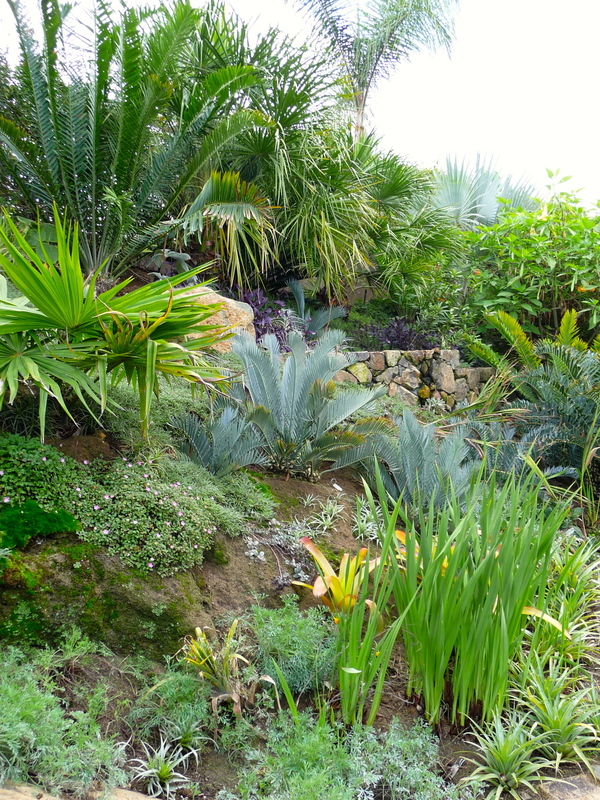 There are also many species of Cycads, succulents and bromeliads. The house is on a 6100 square foot lot and is built on very hard sandstone with little soil. About fifty yards of soil was brought in and mounds and raised beds were created. The garden is about a mile and a half from the coast and on a hill so it has a very good micro-climate and only a very rare frost. As this winter has been fairly cold, there is some plant damage. But, it should show quite well. 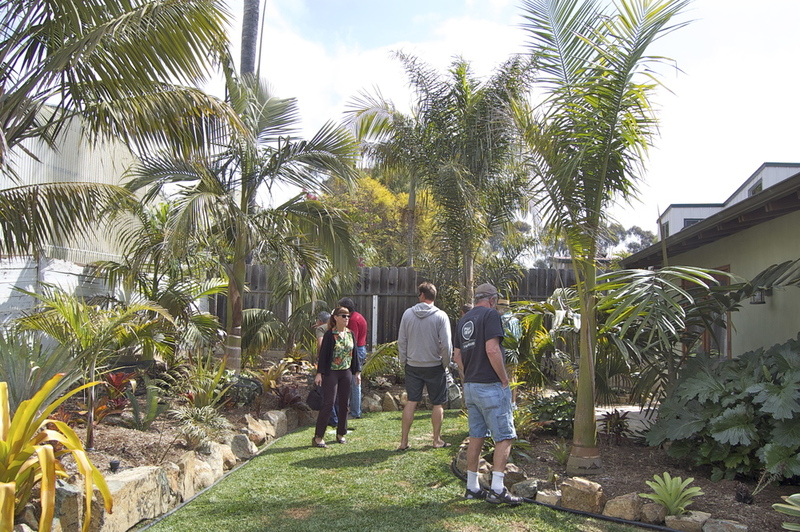 GARDEN NUMBER TWO at the home of Mark and Val Riedler, 3236 Brookside Lane, Encinitas, CA 92024. 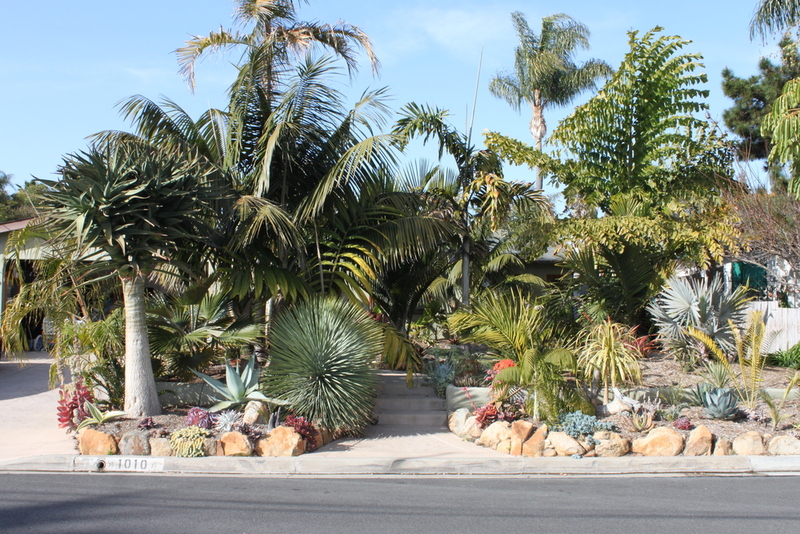 This garden was started in late 2003 and also has many palms, cycads, aloes and bromeliads. The lot is basically clay but 3 feet of sandy loam was imported when the house was built. This garden is 6 miles from the coast and saw at least 27º in early January. This garden was last viewed by the PSSC members in July 2008. Another gem in the Bagley garden. This is a Dypsis leptocheilos X decaryihybird. POTLUCK -- Not sure what to bring to the potluck? Make or buy what you like. It can be Grandma's fudge, Auntie's pho, or your own special appetizer. If you like it, we will, too. If you hate to cook, buy something you like and bring it to share. The Bagleys' mouthwatering Dypsis "Mad Fox"
Dypsis heteromorpha in the Bagleys' backyard. The website of the Palm Society of Southern California.